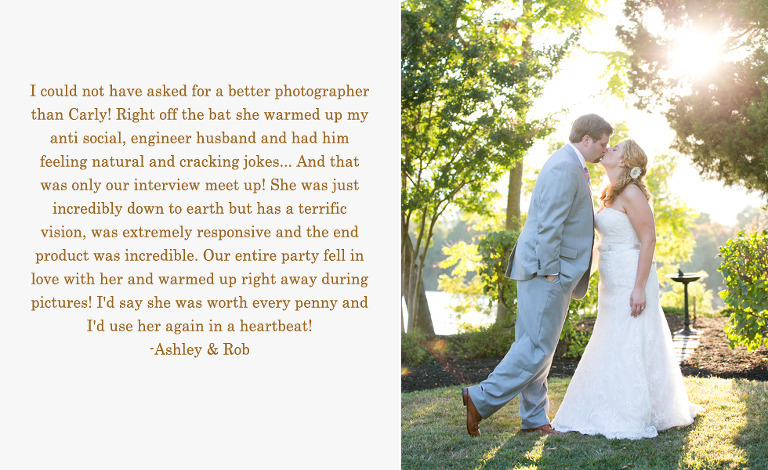 Read what past couples are saying about their wedding experience! 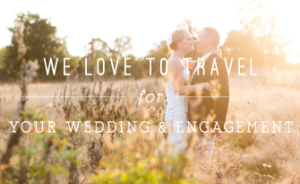 We accept a limited number of weddings each year to provide all our couples with an exceptional experience. All couples welcome and proudly support marriage equality. 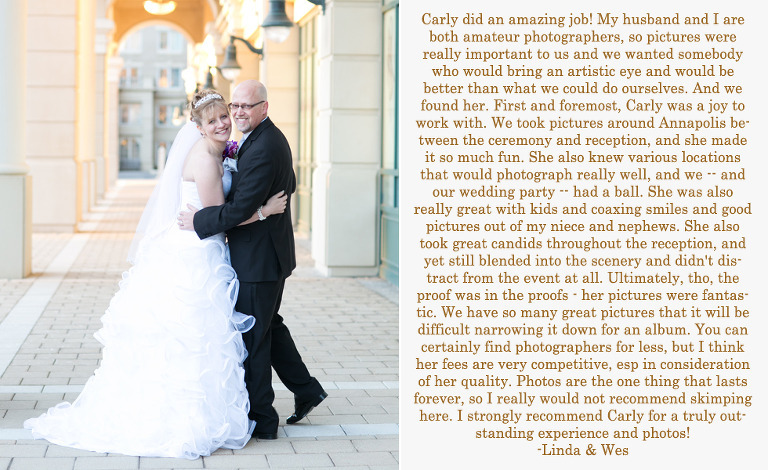 We are now accepting 2017 & 2018 weddings. 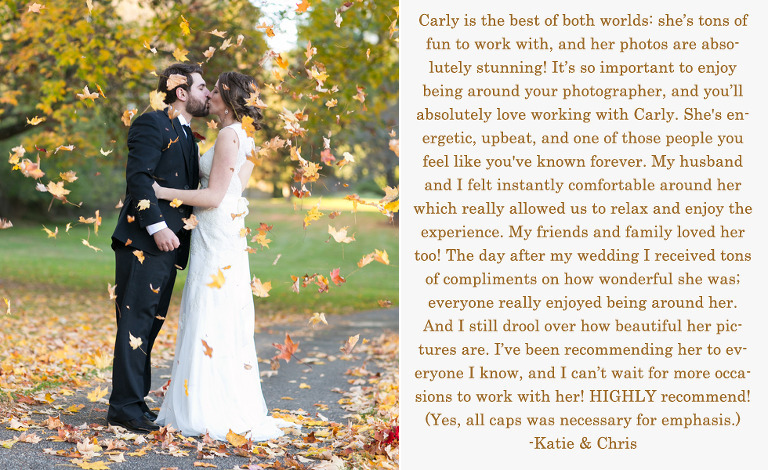 Most collections with Carly include wedding day coverage, a complimentary engagement session, and a download of high resolution images. Looking for something a little different? 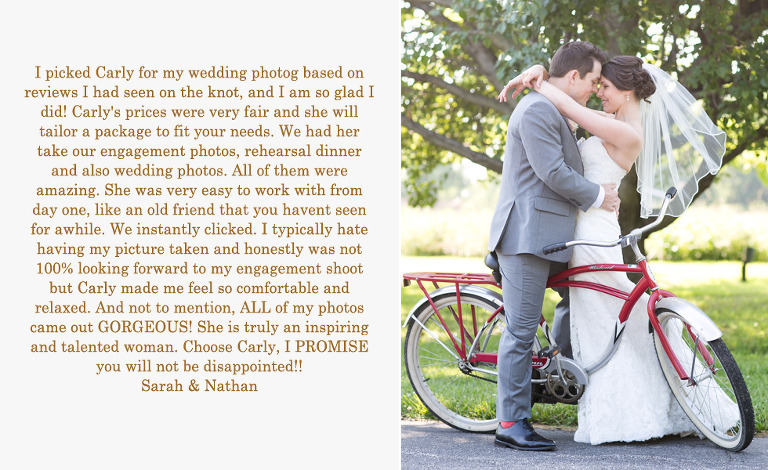 Email us for your own custom pricing, intimate wedding information, or hire one of our fabulous associates! 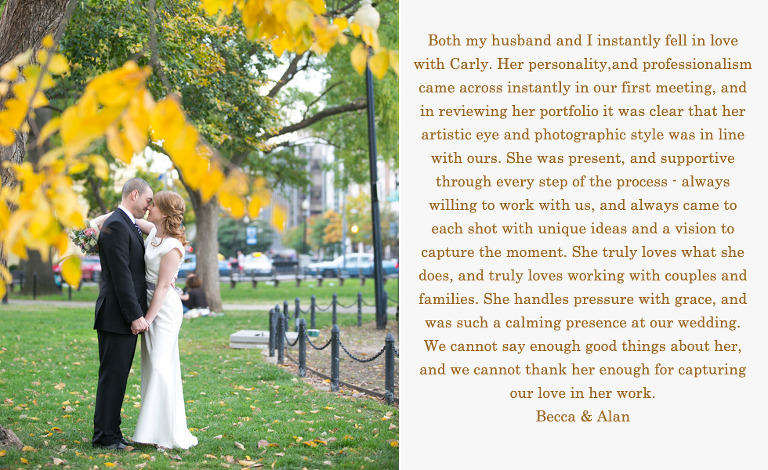 Let us begin capturing your story.